Nikola Tesla pursued his ideas for wireless lighting and worldwide wireless electric power distribution in his high-voltage, high-frequency power experiments. 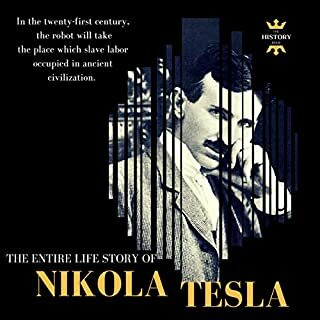 Hear more about Tesla in this audiobook. Genius..the title says it all. 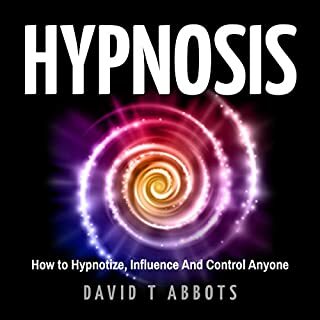 Hypnosis: How to Hypnotize, Influence and Control Anyone is the one-stop guide that will teach you how to hypnotize people and make them bend to your will. This book unveils the secrets and teaches how to use hypnotism to effectively put anyone under your control. 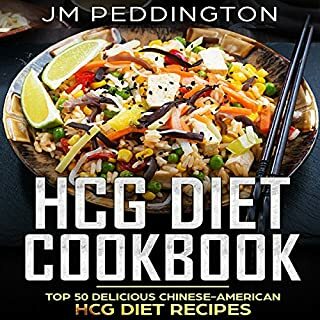 If you’re looking for quick, delicious recipes that can help you lose weight, then you need HCG Diet Cookbook: Top 50 Delicious Chinese-American HCG Diet Recipes. Are you looking for concise, effective and no-BS advice to quickly learn the art of checkmate and quickly start winning chess games with your friends and family? Are you looking for one single primer that can take you from an absolute newbie to a fairly competitive chess player? If so, this is the book you have been waiting for. Familiarize yourself with the most crucial aspects of chess, understand the "strategic thinking" behind the game, and master the dynamics of the different phases in the game. Initially presiding over an oligarchic one-party regime that governed by plurality, Joseph Stalin became the de facto dictator of the Soviet Union. Stalin raised funds for Vladimir Lenin's Bolshevik faction via robberies, kidnappings, and protection rackets. To eradicate those regarded as "enemies of the working class", Stalin instituted the "Great Purge" in which more than a million were imprisoned and at least 700,000 were executed from 1934 to 1939. Swift: Basic Fundamental Guide for Beginners is designed to help new starters to Swift programming build a strong foundation in fundamentals of using Swift. In this book, you will get a practical experience of how to code in Swift language, techniques, tools, and concepts to help you obtain the basic skills Swift. You will learn a few concepts of how to build better IOS apps and so forth. Swift language is one of the best to get started in building apps. Adults who have been undiagnosed with autism spectrum disorder (ASD) often face a daily struggle but remain unaware there is a way to make life better. This audiobook explains the process of autism diagnosis through a former patient's personal account after being diagnosed with autism. Containing humorous anecdotes and stories, this audiobook provides an alternative perspective of looking at autism spectrum disorder. CBD and hemp oil is an alternative approach to wellness for those looking for a natural and guaranteed treatment/cure. Whether you’re dealing with physical or psychological pain, CBD and hemp oil have proven benefits, treating thousands of patients who can now live "normally" again. A storied race and a pantheon of lore, history, and culture, the Vikings reign as the Northern overlords of ancient history. The tales of triumph and conquer by the Viking race have stood the test of time and left an indelible mark on world history. Now is the time to hear for yourself the beauty, wonder, ferocity, and heroism of true Norse legend like it's never been heard before in this comprehensive guide to the majesty, mystery, and mythology of one of the world's most famous and deeply treasured cultures. In this audiobook, you will develop knowledge about object-oriented programming, data types, and how to use control statements in Java. This audiobook is not for experienced Java programmers, but for those people who are learning Java language for the first time. Are you tired of having to skip fun activities so that you can study for tests? Are you sick of forgetting pertinent information when you are in dire need of it? Do you wish there was a way to recall more details from your day to day life? Do you have the desire to have a stronger, healthier brain and use it to its fullest potential? If any or all the above questions summed up your thoughts, then you have come across the perfect starting place to journey into a clearer, more focused life. Adolf Hitler was a German politician, demagogue, and Pan-German revolutionary who was the leader of the Nazi Party, chancellor of Germany, and führer ("leader") of Nazi Germany. As dictator, Hitler initiated World War II in Europe with the invasion of Poland and was central to the Holocaust. For decades, this sickness has been ignored and overlooked because of its silent symptoms which earned it the title of being the "Silent Killer". If you are one of many people who are not comfortable living with this idea that you could be one of the many affected by this illness without actually knowing it, this book Blood Pressure Solution: 30 Proven Natural Superfoods to Control & Lower Your High Blood Pressure is for you. Get ready to be equipped with the basic knowledge about high blood pressure and how to reverse it naturally without the use of drugs or medications. The DASH Diet is aimed for the prevention and cure of common diseases such as hypertension and diabetes by especially lowering sodium intake, sugars, and fats. Although it is designed for this, it has proven to be very effective for weight loss and helped lower risk of osteoporosis, kidney problems, and even cancer. 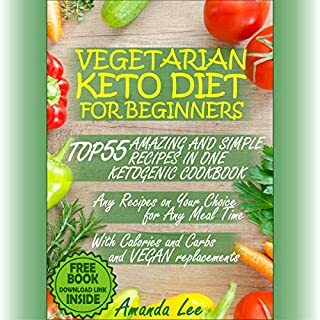 This book introduces you to this reputable diet. 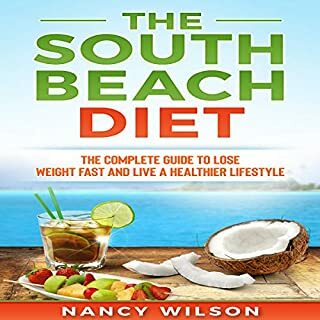 Not only will this book make you familiar with the new most effective diet tips, but it also contains recipe samples which will be very handy for you as you begin this healthy journey of adapting the new DASH diet. There are also suggestions for healthier lifestyle changes. Don't wait any longer! Buy now to begin the journey of being a healthier you! Good book and was recommended by my endocrinologist for a thyroid diet, more a way of life eating. Helps you to continue with the BP Solutions. Think of this book as another month of the Dash Diet taken beyond the original month. This book fill in any gaps in understanding you may have had regarding the original Dash Diet and teaches you how to eat properly for the rest of your life. It also contains an additional month of menus to sustain your metabolism and help you keep losing weight once the first month is over. Healthy Lifestyle away from diseases. 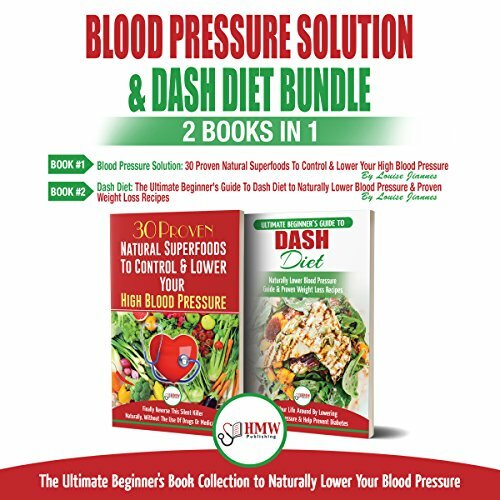 Blood Pressure Solution & Dash Diet provides guidelines and methods for adopting a healthy lifestyle. I was impressed by the variety of foods that were included in the diet suggestions, but the plan covers more than that by providing information about changing your way of living. The results, so far, have been the most impressive aspect. I would recommend this book to anyone who wants to improve their health. Enjoyed listening to this guide to behavior change. Not particularly new in terms of what is known in the field, but organized and generally helpful. Perhaps I was ready to pay attention, always a plus. This is a program that has been and continues to reward me with success. It is a plan I intend to follow for the rest of my life. Good food, easily purchased and minus gimmicks. Can't ask for more than that. Meal Plan to follow to be fit. The book itself is good in the knowledge it lays out for you, but I think this must have gone through some changes and/or additions and the index did not keep up. The first time I looked up something in the index and went to the page I had to go forward or backward to find info. This happens, but when it happened 5 or 6 times it get a little frustrating. Indeed superfoods for Blood Pressure. The food is really good and I actually eat more food bulk than I did before. The hardest part is the extra work in food preparation. The vast majority of prepared foods have too much sodium to fit in the diet so I'm making my own salad dressing, salsa, etc. It's not hard, just time consuming. I prepare food in bulk and freeze a lot. In that sense, I have prepared food. A Lifestyle Change That Works. This is the one book a DASH diet other is about Blood Pressure Control, every person must have. All the necessary tools are in here. I also bought the DASH cookbook. After a while, you can use just about any cookbook and DASH. I have high blood pressure and doctor said, control it. The recommendations are fair and I am getting plenty of good food to eat and my body feel better already.I have not been on the diet long enough to check the results but I will come back with my results in a months time. I am hoping that this works because Heart problems run in my family. . The Dash Diet...Plenty good food to eat. I have listen to this book and started to follow the diet. Although I have been able to lower my overall cholesterol level my body is still having trouble lowering my LDL's(bad cholesterol) so this diet has been prescribed by my physician. It has not been very difficult to follow in fact it has been quite easy. Try this before blood pressure medication. 🙏🏾🙏🏾🙏🏾🙏🏾 Best alternative option to blood pressure medication. DASH Diet combined with daily exercise brought down my blood pressure by 30 points without medication. Good info - easy to follow. Common sense approach for taking action in lowering blood pressure and loosing weight, without staying on mess forever. Good Plan to cure Blood Pressure. I have found this book to be very beneficial as I have both high blood pressure and high cholesterol. It is easy to read and has many tiips and suggestions. Is a diet plan that is very easy to follow and Marla Heller's meal suggestions are extremely helpful. Highly recommend this book. I followed the tips and my cholesterol has dropped and i lost some pounds in few months just by following this book. Only complaint is that I had to go out and buy a new wardrobe! This book is a God send. I recommend everyone read this for themselves, but consider it for people in your lives that you love. I found this book while looking for help and it has changed how I'll think about food forever. So helpful stuff by the author. I highly recommend this book! If you need to makes a change quickly and easily to your diet read this book. We have a member of the family with extremely high blood pressure who needed to make changes quickly, this book was a God send. The result was lower blood pressure within 10 days and also the added bonus of weight loss over a few months. Easy to understand the BP Solutions. Very helpful tool for me. My Doctor recommended that I read Dash Diet and I continue on my healthy life style journey. I find it informative and confirming to my goals. Seems like a good plan for lowering blood pressure, and possibly cholesterol, through dietary changes alone. Trying it out to see if it works for me. I am slowly implementing the plan guidelines because I want it to really become a lifestyle change. I am diabetic and had my blood work done last week then saw my doctor this week to go over them. My numbers have consistently gotten better. I have lost an additional four pounds and she says whatever I am doing to keep on doing it. Encouraged? You bet! This seems to simply recommend a healthy diet with lots of vegies, fruits, and protein. I like the fact that it doesn't totally prohibit red meat. It has dozens of informative charts, meal plans, and good advice. 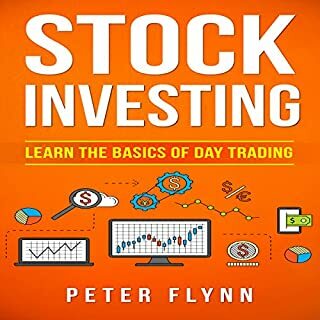 Unfortunately, most of the advice I already knew, but the charts are extremely valuable.